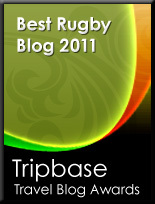 TOTAL FLANKER...a rugby blog: Battle of the sexes? I had a little-toe-wave (this is like a brain wave but somewhat lower down the scale) the other day but it takes some research. And I don't know enough people. Maybe, even if you don't know enough, you can reach enough.I am trying to find out the appetite for women to play mixed contact rugby. I figured the male part of the mixed would be vets (and, as I gather you realise, the maturer player is more likely to play to the spirit of the game :-)). I am looking to form an occasionals, wondering side of five vets, five women and five novices. Since no one else does this (as far as I can ascertain) I would have to double those numbers so we could have a game).The few girls who play that I know would be up for it (given the obvious and serious boundary conditions like insurance), but I need a wider sample. Mixed touch rugby is obviously very common but what do you think - would men and women playing mixed contact rugby work? Personally I have my doubts - my experience of Vets' rugby being that it's just as physical as "normal" (for want of a better word) rugby, just that much slower! And as for playing in the "spirit of the game," that entirely depends on the individual concerned - age plays very little part. Please feel free to comment here and/or take part in the poll located top right of Women's Rugby Review. September of the season concerned as per RFU Continuum. Exception: Excluding all forms of noncontact or tag /touch rugby.